It’s hard to pin down the exact place and time it happened. 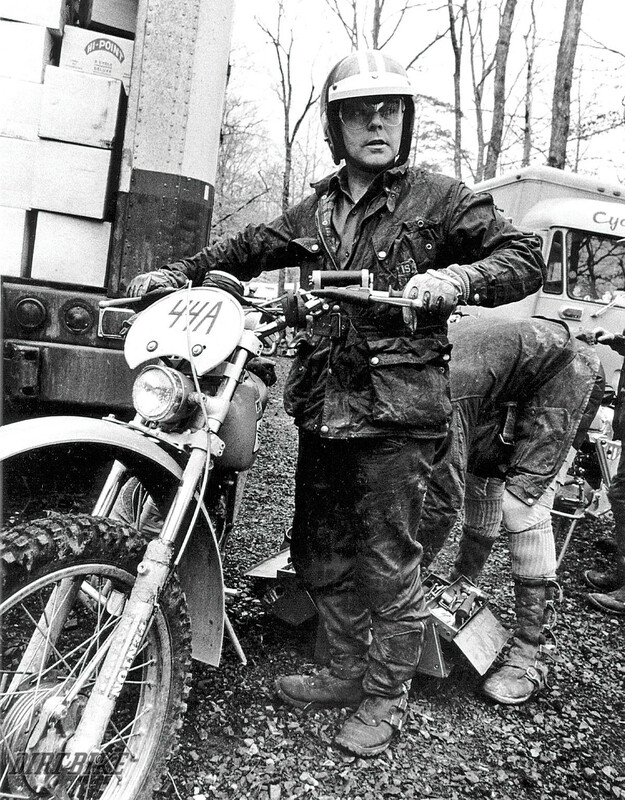 It could have been on a Mexican dirt road or in the sandy woods of Michigan, or maybe it even happened in the idle hours of a hospital waiting room, but at some point around 1958, the concept of American off-road motorcycle riding was born in the mind of John Penton. There was certainly off-road riding in the U.S. prior to that moment, but the sport that we know today—the one dominated by names like KTM and Husqvarna, ridden with lightweight bikes on singletrack trail—is largely the product of one man’s vision, industry and passion. Anyone who knows the story of John Penton understands that these kinds of statements aren’t just hyperbole. There is a direct link between John and the bikes of today that goes way beyond the 10-year production run of Penton motorcycles. 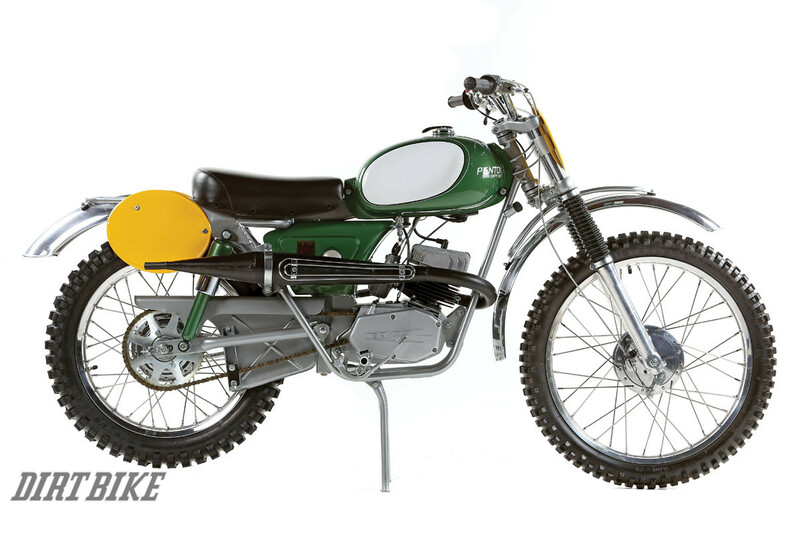 One of the motorcycles that influenced John’s dirt bike philosophy was the German-made NSU 175. He used it to win the Jackpine, the Corduroy, the Alligator and other events. But during that extended riding time, John Penton gathered the experiences, beliefs and convictions that would fuel his business ventures of the future. He saw clearly that off-road motorcycling was about to grow rapidly and that this growth would be driven by lightweight motorcycles unlike anything that had previously been produced in America. 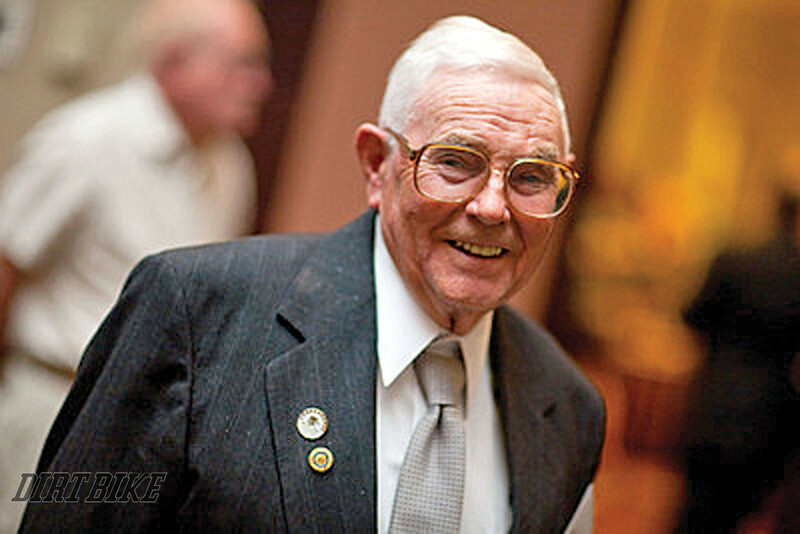 In the years that followed, John continued racing, but he also became more involved in the Penton Brothers’ motorcycle dealership, which started carrying Hondas and Yamahas. The importance of that dealership grew in 1967 when it became the importer for Husqvarna in the eastern half of the U.S.
Old-timers might think they know the Husky story well. Edison Dye famously brought motocross to the U.S. in order to sell the Swedish brand. But, Edison was more promoter than distributer and was given only the western half of the country as his territory. Penton brought more of a nuts-and-bolts approach to the business of building a dealer network. In the eastern half of the country, you only had to sell the product, not the activity. Enduros and hare scrambles already existed, and the Husky was a nearly perfect fit. Part of the Penton way of thinking was that smaller was better. The NSU that he had ridden in the late ’50s was a 175, which was downright microscopic compared to the big BSAs and Harleys of the day. Even the BMW that he rode in the ISDE in 1960 was only a 250. So, he started pressing Husqvarna for something smaller and better suited to East Coast riding. The Swedes said no. That was when Penton motorcycles really began. The first Pentons appeared in 1968 and had Sachs motors. This was the seed that grew into today’s KTM line. 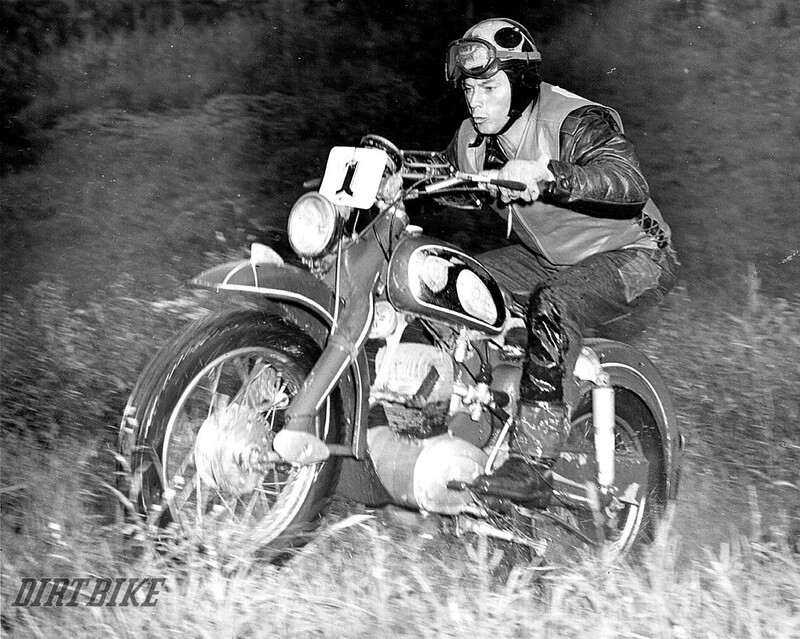 In 1967, John rode the International Six-Day Trials in Poland on a Husqvarna, then arranged a meeting with Erik Trunkenpolz of KTM. At the time, KTM manufactured bicycles and small, Sachs-powered mopeds, but Erik was interested in expanding KTM’s product range, as well as exporting goods to the U.S. John wanted someone with the resources to build the small-bore off-road bike he envisioned for American trails. In other words, they needed each other. John agreed to pay KTM to build a prototype of the bike, and within only a few months, the first Penton motorcycle arrived in Ohio. 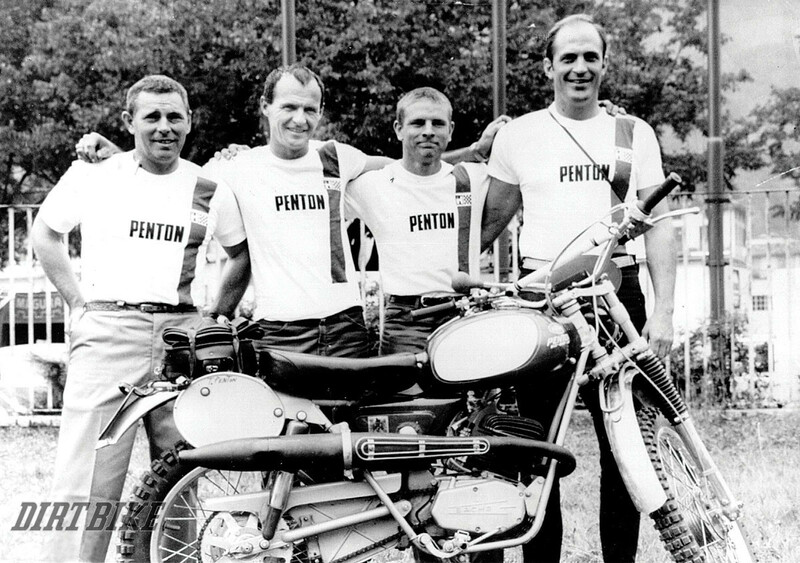 Penton introduced the bike at the Stone Mountain Enduro near Atlanta in 1968. It was a 125 with Ceriani suspension, and it weighed 185 pounds. It had a flawed transmission and a restrictive airbox, but it demonstrated that John had the right idea. In the next few years, both Penton and Husqvarna grew, and John became one of the most important Americans in the off-road motorcycle business. Today, we see KTM and Husqvarna as longtime rivals that have only recently been united under one roof. In truth, they have a link going back decades, with John Penton as the common element. He was importing and selling both bikes during a phenomenal growth period in off-road motorcycling. Both factories battled with John over this conflict of interest, but they both accepted that his understanding of the U.S. market was essential. John set up the two businesses as separate corporations and performed a hat-swapping dance to keep them both running. KTM, in particular, was becoming more and more dissatisfied with the name on the gas tank. The bikes might have been John’s idea, but they were made entirely in Mottighofen, Austria. Mr. Trunkenpolz wanted to see more of the KTM logo. Thus, in other markets, the motorcycles that Penton designed started showing up under the KTM name. In 1972, the 175 Penton came to America with a big KTM logo cast right into the cases. It was the first full-size motorcycle engine that KTM had manufactured in-house, and the factory wanted to broadcast that information. John, on the other hand, wanted to open every crate and file off the logo. In 1975, the situation became even worse when KTMs started appearing on the West Coast imported by someone else. Likewise, Husqvarna was never happy that the name of its U.S. distributor appeared on the tank of a competing motorcycle. In most of his later racing years, John actually rode Husqvarnas in an attempt to counter those complaints, but it didn’t work. The factory pressed John to relinquish his control of the distribution rights. Between 1971 and 1974, the Husqvarna factory purchased a greater and greater percentage of the U.S. distributorship until Penton was out. But it was the John Penton infrastructure that allowed Husqvarna to survive the following years, which were very tough. On the KTM side, the same process eventually took place. After John took a beating in the silver market, the KTM factory purchased the distribution rights as well as the company’s infrastructure. In 1978, the Penton name was finally replaced by a KTM logo worldwide. The name Penton was gone, but many of John’s people remained in place. To this day, KTM’s national headquarters remains in Lorain, Ohio, not far from the Penton family farm. On one of John’s European trips, he visited the Alpinestars boot factory completely by accident. He was lost and simply wandered into the facility. What resulted was the birth of Hi-Point boots. John designed and imported boots for the U.S. off-road market and eventually dominated the industry. This became a bigger business than Penton motorcycles. Penton also sold trailers and ignitions and ran a dealership, all with the help of his extended family. Today, the dealership and Hi-Point have long since been sold. KTM and Husky have kissed and made up, and the motorcycle industry is mature. But, John Penton remains active in Ohio motorcycle gatherings, even in his 80s. The fact that he’s become a motorcycling celebrity seems to surprise him somewhat. In June, Pipeline Digital Media released the John Penton story, a big-screen movie depicting John’s life, before and after the Penton motorcycle days. It’s an entertaining biography that can expose a new generation to the Penton legacy and help young riders understand how our sport came to be where it is now. The movie is the product of Todd Huffman, who created The Motocross Files, and he presents the story through interviews, still photos and vintage film clips. Some of the key scenes have been reenacted, such as John’s coast-to-coast record ride in 1959. The narration and some of the music score are by Lyle Lovett, and it contains dozens of interviews, including Ryan Dungey, Malcolm Smith, and a number of people with the last name Penton. One of the most unusual aspects of the film is the way it’s being presented to the public. Gathr Films is distributing The John Penton Story nationwide through chartered screenings. A group or club can arrange for a showing at a local theater and then promote it locally. When enough people express interest, a “tipping point” is reached and the screening is confirmed. That tipping point can be as few as 30 viewers, and the ticket price is no more than that of a typical romantic comedy. To find out if there is a local screening, or to plan one for your group, visit www.pentonmovie.com or www.gathr .us.